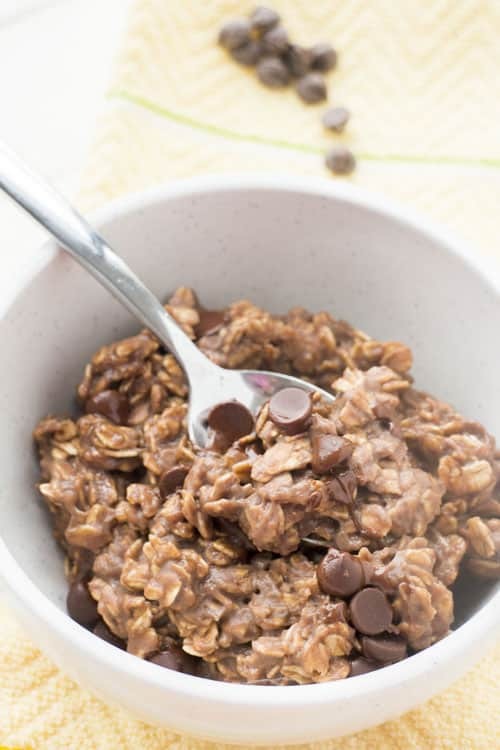 Chocolate Protein Powder Oatmeal - Healthy breakfast recipe! 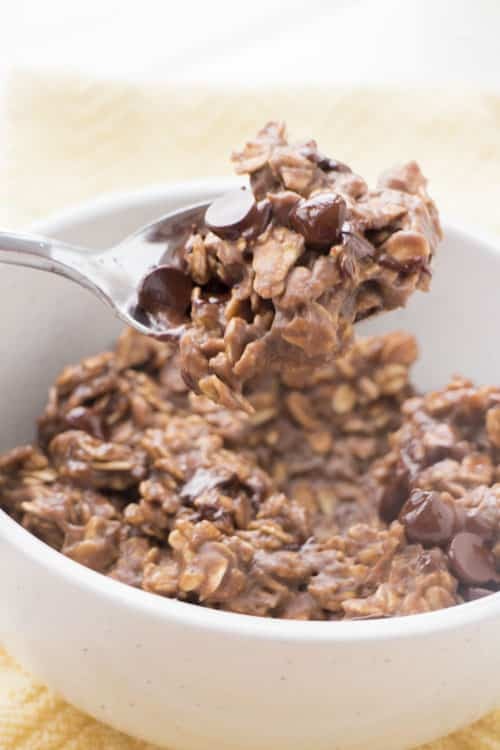 Chocolate Protein Powder Oatmeal is a healthy breakfast recipe! It’s made with chocolate protein powder and chocolate chips! Who doesn’t want chocolate for breakfast? One breakfast I’ve been loving is Double Chocolate Protein Powder Oatmeal. With this Double Chocolate Protein Oatmeal I get what I need: protein to keep energy up and chocolate. Because who doesn’t need chocolate? And who doesn’t need chocolate in the morning? I look forward to waking up now! There’s a bunch of protein powders on the market but while browsing endlessly at Target I found Vega Essentials Shake in the protein aisle. It seems to be a popular choice as they were almost all out. So I grabbed a bottle of Vega Essentials and a pack of cookies (because why not) and a pair of socks (because Target always lures me in with their socks) and a pack of pumpkin stickers (darn $1 section) and finally made my way to get checked out. Then I walked home and started to dream up some recipe ideas. For my Chocolate Protein Powder Oatmeal you need one scoop of Vega Essentials powder and a few basic ingredients that I know you have in your pantry. 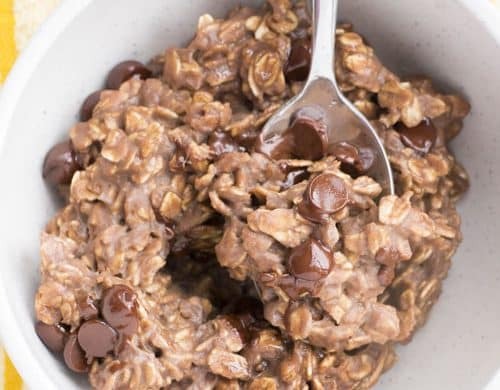 Unlike other chocolate oatmeal recipes you don’t need cocoa powder because the protein powder adds enough chocolate taste. I used vanilla almond milk because I love that stuff, but if you want to use regular milk you can surely can. The added chocolate chips on top double that chocolate taste, especially adding delight as they melt. If you want to step up your game, add a sliced banana or a handful of berries on top. 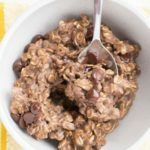 Chocolate Protein Powder Oatmeal is a healthy breakfast recipe! It's made with chocolate protein powder and chocolate chips! Who doesn't want chocolate for breakfast? Whisk milk, protein powder, sugar, vanilla extract and cinnamon in a small pot over medium high heat for 3 minutes. Stir in the rolled oats and continue to cook for 3-4 more minutes. 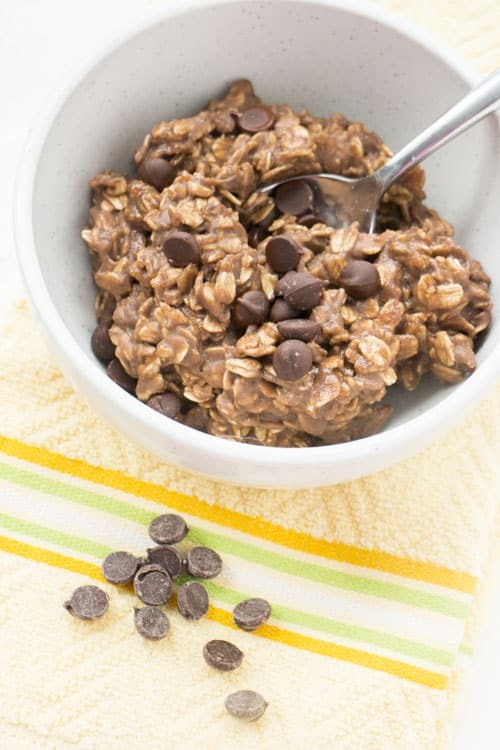 Put the oatmeal in a bowl and put a nice handful of chocolate chips on top! Meet Toes, She’s a Food Monster! Viva® Vantage® Blog Party in NYC! I would definitely want this oatmeal for breakfast! Sounds so delicious! Your kittens are so cute! This is too funny because I literally just made peanut butter and chocolate oatmeal! They were overnight oats, though. Love your version! Our weather has turned chilly at night. 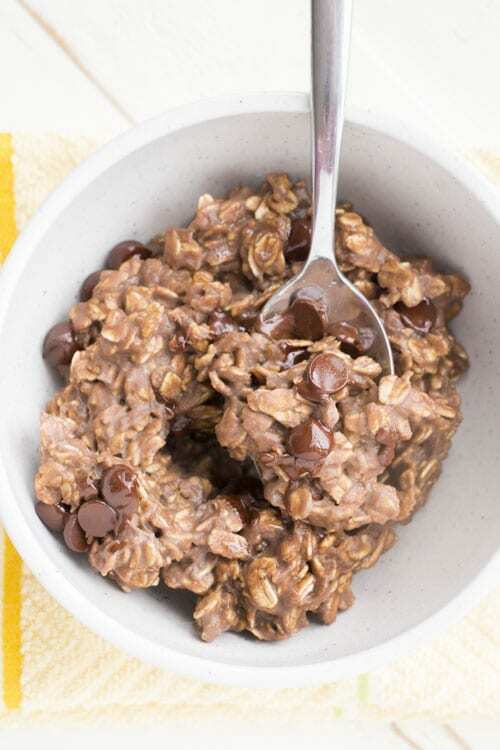 This oatmeal looks delicious and who could resist chocolate anytime of the day? Yes, I would like chocolate for breakfast, thank you very much. This looks fab! This oatmeal looks like the perfect breakfast for fall plus who doesn’t want chocolate for breakfast right!? A fantastic Fall breakfast! YUM! Just got back from vacation, and we lucked out with the weather. Only turned chilly towards the end. Which is OK — I love chilly weather! And of course I love chocolate, too. Never had it with oatmeal, though. This is brilliant — gotta try it! Thanks so much. I neeeed to try this, I think it would become my favourite oatmeal! Looks so good! chocolate for breakfast is tha best! I have missed your furry babies too, good to be back and catching up on all the fun times you have been up too. I love to have chocolate in my breakfast – looks delicious! Congrats on giving up meat! Most people I know usually fail within a few weeks. Something about the way a bacon sandwich smells being a veggie for nearly 30 years I don’t really see the attraction. I’m glad you have found a protein supplement you like, its important to keep your diet balanced as being a veggie does mean you lack some essential stuff. Also keep an eye on your iron levels I had real problems when I was a kid and went veggie and had to take supplements. I too found I lacked energy halfway through the day, though a lot of cereals are naturally high in Iron these days. Which is good 😀 I’d love a bowl of this beauty for breakfast! Thanks Emma! Before I started to go meat free my iron levels were at a freakish low amount so I’ve been on vitamins since. Next month I’m going to get my levels checked out again, along with the rest to see how it’s been doing since no meat. I don’t have that burger craving anymore, in fact I think black bean burgers are better! Enjoy Sherrie, it’s my go to Fall breakfast recipe!